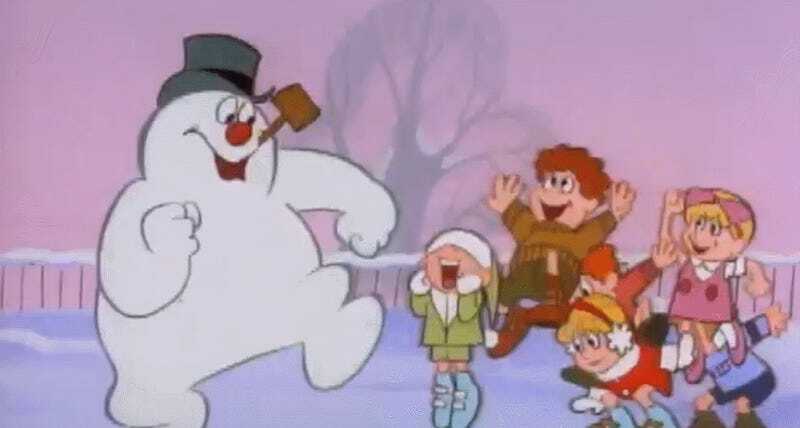 do you really know frosty? The “old top hat” is a phylactery, when placed upon a suitable snow body allows the lich spirit Frosty to possess his frozen host. He charmed the children to be his thralls, and seeking to sow as much chaos before his finite time expires, he torments the people of the village with his vile Broomstick Staff. “Thumpty thump thump” is the sounds of bodies hitting the ground as their life forces are drained into the aforementioned phylactery, fueling another chance at winter destruction before the seasons change anew. Thanks for coming to my TedTalk. The lich from the 5th edition Monster Manual.